E71 is waiting for you for three days of training e taste experience! See you at the World of Coffee in Budapest! From June 13th to 15th, Budapest will play host to the WOC - World of Coffee, one of the world of coffee's most important international events. We are looking forward to meeting Faema's customers and friends from all over the world. 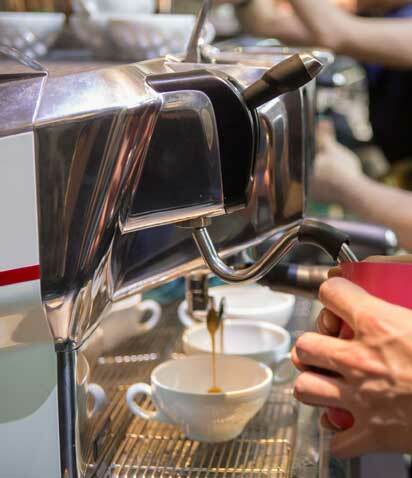 For this occasion we have prepared 3 days of training on the E71, with taste experiences with our MUMAC Academy, the Cimbali Group's Coffee Machine Academy. Not only that: augmented reality will enable coffee lovers from over all over the world to explore its inner workings and discover the features and design details that make it the best interpreter of master coffee artists. Come and visit us in Budapest, at Hungexpo, booth E15, hall G and follow us on our social pages.